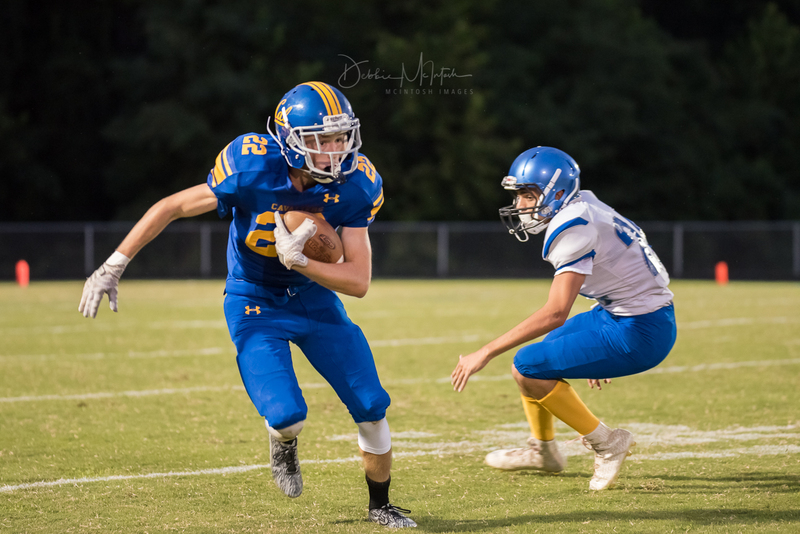 Ben Lash, a student member of the Calvert Football program, not only watches the games each week from the press box, but provides notes and a summary of the Friday night contest. Ben shares his personal perspective in his weekly recap. 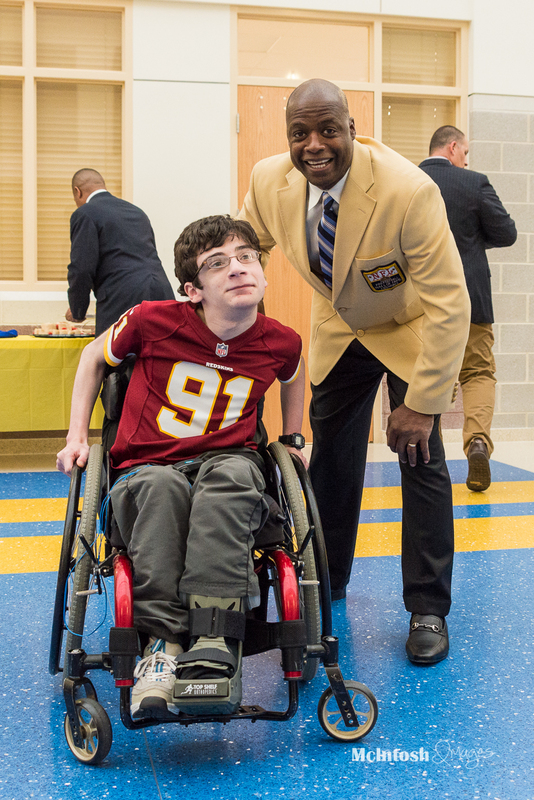 Calvert Football is extremely fortunate and proud to have Ben, a true football enthusiast, as our bleacher reporter. 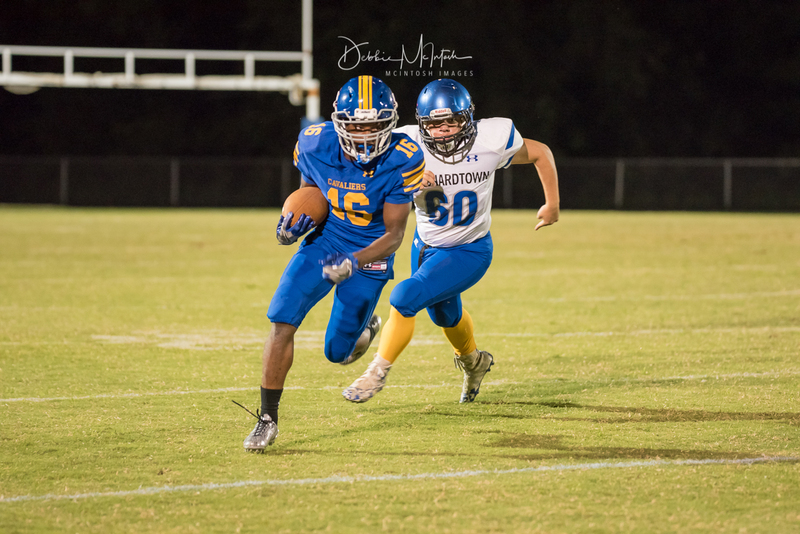 The Calvert Cavaliers varsity football team took on the Leonardtown Raiders Friday night. The Cavaliers were trying to bounce back from last week’s loss to rival Northern. The Cavaliers started on defense and forced an early punt. After a fumbled return by the Cavaliers, the Raiders got the ball deep inside their own 20. The Cavaliers’ defense stood strong and closed out the Raiders scoring attempt with an interception on the 1 yard line by Brandon Barker. Midway through the second quarter, quarterback Michael Floria found his rhythm as well as his target, Justin Morsell. This duo hooked up for two 8 yard gains. Gavin Lusby then broke loose for a 5 yard gain to get the Cavaliers in the red zone. 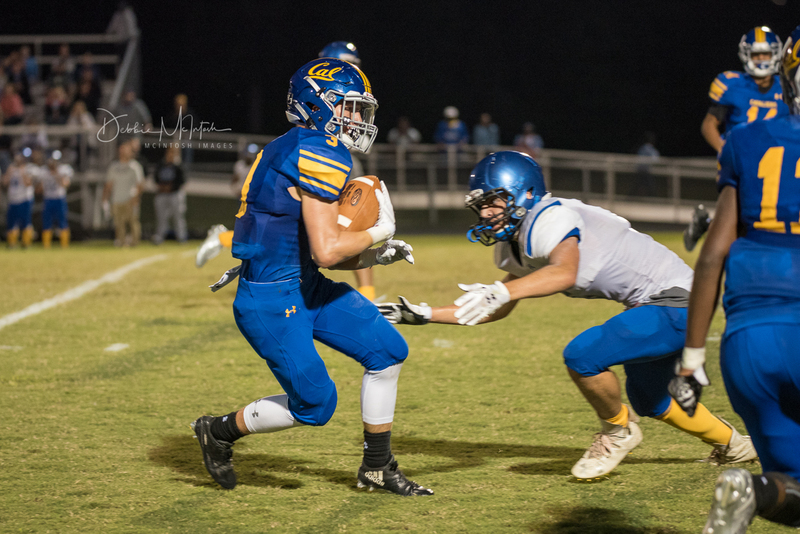 Floria capped off the drive by connecting with Justin Morsell for a 13 yard touchdown pass, putting Calvert on the board with a 6-0 lead as the extra point was missed. 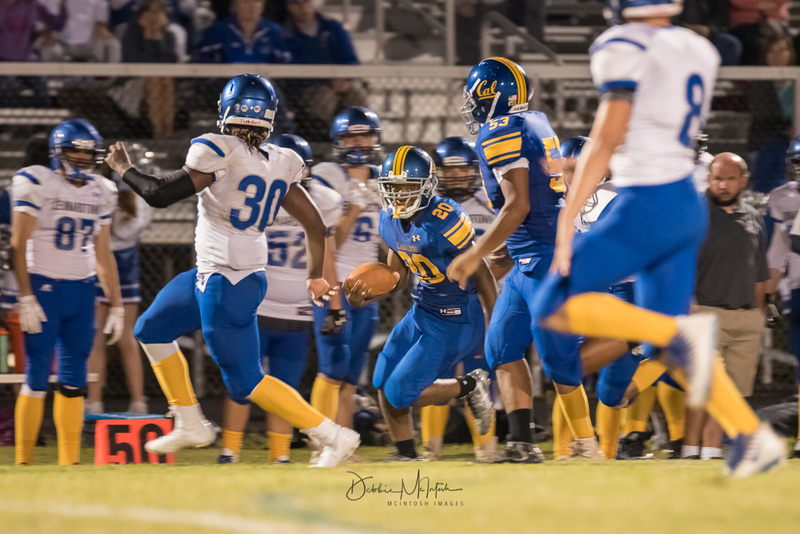 After a three and out by Leonardtown, Calvert got the ball back and drove down the field with Floria completing a 27 yard pass to Camden Crowdis. Gavin Lusby then ran the ball for a 4 yard score to double Calvert’s lead to 12-0. The Cavaliers failed on their 2 point conversion attempt. The Cavaliers went in to halftime with a 12-0 advantage. Leonardtown’s offense got the ball to start the third quarter and wide receiver Deshawn Polk caught a 37 yard pass from Fukes. However, the Cavaliers defense continued their impressive performance, as they forced another Raiders punt. The Cavaliers relied heavily on running back Dre Mackall, who grinded his way for two first downs. Both of those first downs set up a 20 yard touchdown pass to Camden Crowdis. Sophomore quarterback Floria is proving his ability to lead the Cavalier program. The score was now 19 to 0. On the next series, Leonardtown’s offense was stopped when Fukes’ pass was intercepted by Gavin Lusby. Another scoring drive for the Cavaliers was started with a 21 yard scamper by Dre Mackall. Micheal Floria then extended the lead to 26-0 after a 8 yard quarterback run. 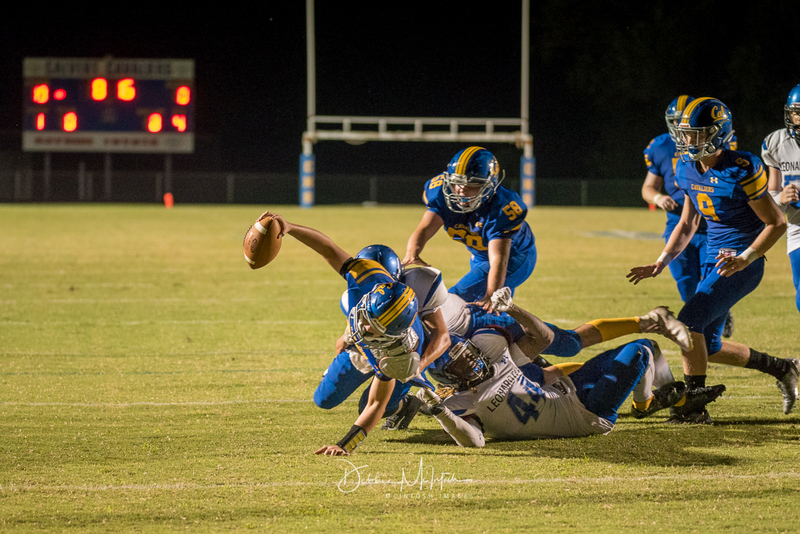 Leonardtown was then stopped by the Cavaliers defense and forced to punt. The Cavaliers would put the icing on the cake with a rushing touchdown by Isaiah Buck. The final score was Calvert 33 and Leonardtown 0. 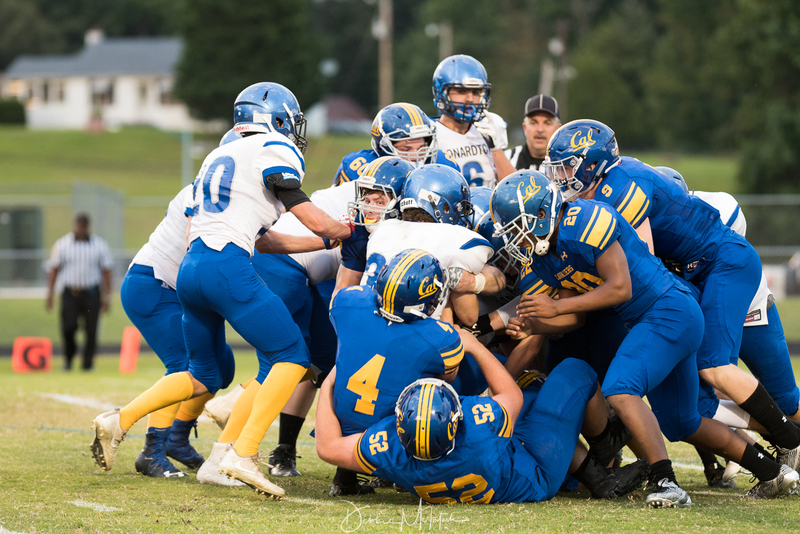 Calvert will play at their bitter rivals next Friday, the Huntingtown Hurricanes.